Safety chucks or Locking Assembly are square bar holding device. It can hold square bar size 1″, 1″1/4″ , 1″1/2″, 2″ or 3″. 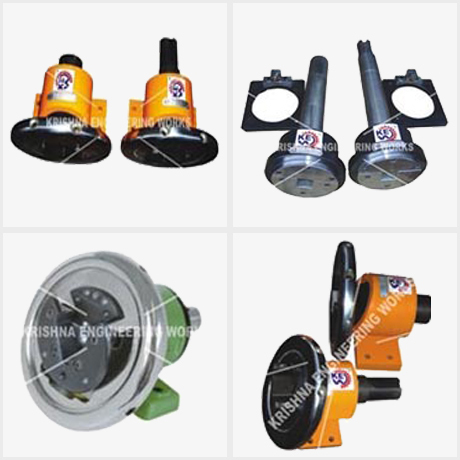 Safety chucks are also manufactured in mm sizes 25mm, 32mm, 38mm, 40mm, 45mm, 50mm, 75mm as per specific requirement of weight to be handled. Replaceable inserts are the main advance of sliding type safety chucks and it is having more square bar holding area than tilting type safety chucks. For fixing tension control brake comes with extended shaft on one side. Square bar Size are decided consider the load & application.